my favorite flavor of cricket. there is also salt+vinegar and bacon+cheese. Really? And where do you get these little snacks? 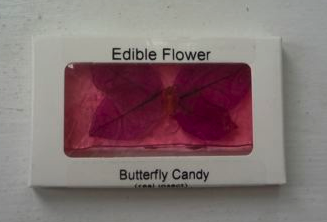 The butterfly looks good enough to eat.... not too sure about the crickets, though.... but I wouldn't write it off. Love it! you can get them at this amazing store in cincinnati called jungle jims. here is the link-->http://www.junglejims.com/ the butterfly was good, like a regular piece of candy. 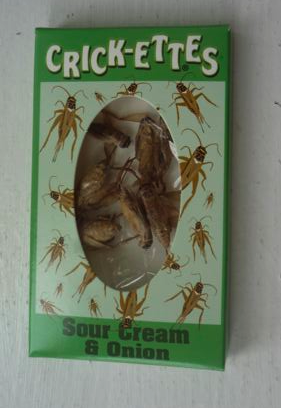 the crickets kind of tasted like pop corn kernels.